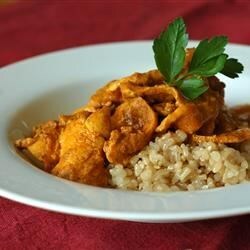 "This is an adaptation of yellow chicken curry from India. The aromas and flavors are a delight to the senses! It is best served with fresh Naan bread and Jasmine or Basmati rice."